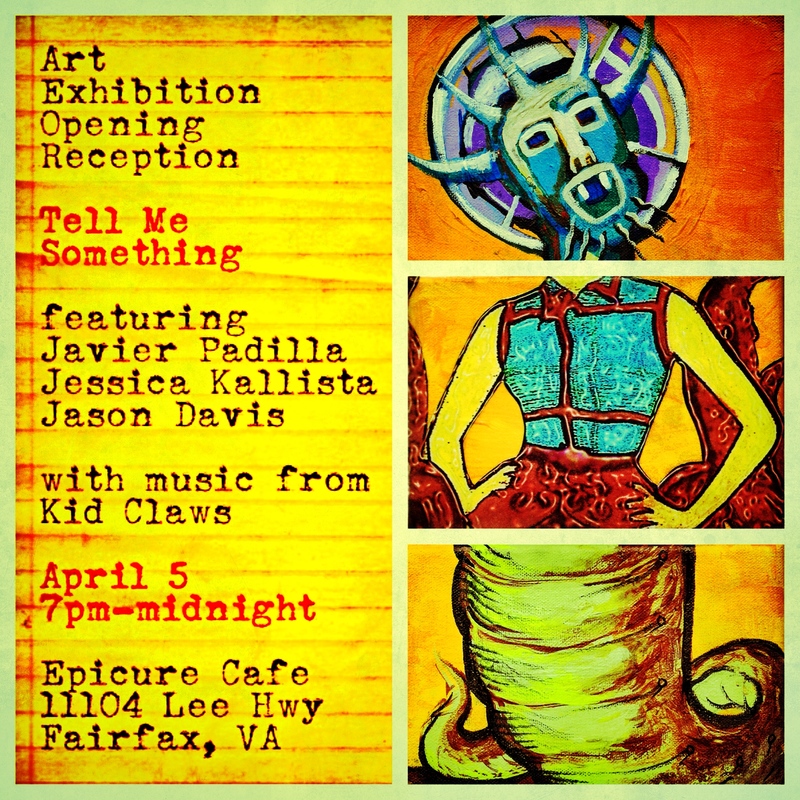 The opening reception for the art exhibition, Tell Me Something, is this Saturday, April 5, at Epicure Café in Fairfax, VA. The show includes more than 10 of my newest collages, as well as gorgeous new paintings by artists Jason Davis and Javier Padilla. Together the three of us have formed a new artist collective inspired by the local urban legend of the Bunnyman: The Bunnyman Bridge Collective. The opening reception will include a live unveiling of The Bunnyman Bridge Collective’s most recent exquisite corpse collaborations and free art drops throughout the evening. The incredible Kid Claws will provide a full night of their lush and ethereal, dreamy noisy pop music. See you at Epicure Café from 7pm to midnight for a must see night of art, music, surprises, and play! You want to be part of this night!